"Eve chases down the connections, even when they seem to be "dead" ends"
At a party, you never know who you will meet, but when Lt. Eve Dallas and her billionaire husband help a friend celebrate her new home, they soon learn that they have made CONNECTIONS IN DEATH with one of the guests. Roarke had an eye on Dr. Rochelle Pickering as a counselor at An Didean, the school and youth shelter they are building. Who better to help teens turn themselves to the right path than someone who has been there. Her brother Lyle was a gangbanger, druggie who is now clean with his sister's help. To celebrate her new job with Roarke, she and her boyfriend Wilson (aka Crack from Down and Dirty) go out on the town. Only to return to find Lyle, sitting on the sofa, looking much like he overdosed. Rochelle won't believe it and Crack calls in the best. CONNECTIONS IN DEATH is a storyline that could have come straight out of the newspapers. Lyle was cleaning up his act and moving away from the gang, but someone or a bunch of someones didn't want to let him go. Eve knows it's a homicide and is determined to investigate as she would any murder, but especially this death of a young man whose future was on the straight and good. Few can write a mystery the way J.D. Robb (aka Nora Roberts) does. This is a futuristic setting, but the characters are realistic, with everyday emotional problems and dreams. The crew from the cop shop are always an added hit of fun, with their eye-burning ties and socks, and with each offering, we get a look at their non-cop personas and learn a bit more about them that makes them seem even more real in readers' eyes. But these cops will go all out to solve a murder case, not caring who the person was before because now they belong to the cops. The emotional toll of CONNECTIONS IN DEATH will hit you at different times. I felt horrible that Lyle was used as he was, I felt bad that Rochelle, who had such hopes for a better life for him, was crushed. To be honest, I even felt bad for some of the gangbangers, because many of them had sad, hopeless lives. (I must add here that not all the gang members fit that category, some just wanted that life.) Eve never cared about their backgrounds; once they were dead they became hers, so she is just as fierce with her investigation as she would be anyone's violent death. 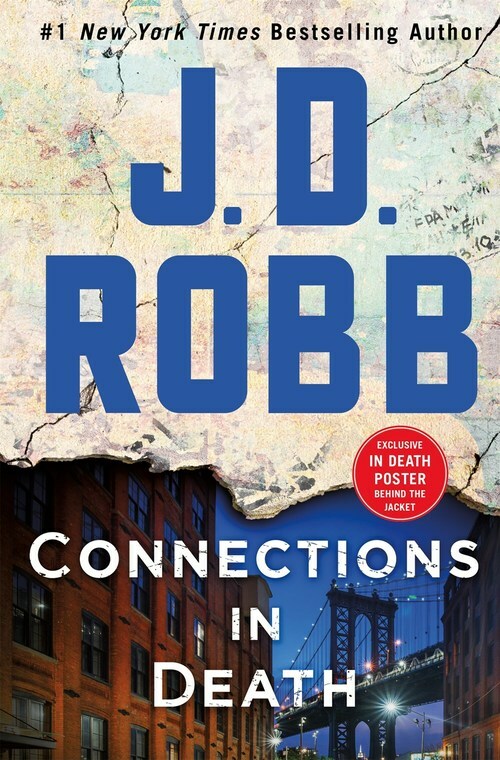 I read in a newsletter that Nora Roberts stated the In Death series was supposed to have been a trilogy "about a prickly, difficult homicide detective in New York's near future" and never imagined it would last 24 years. She said number 50 is in the works and there were an additional ten novellas. As a reader, a fan and lover of the series I can only say "Thank You!"